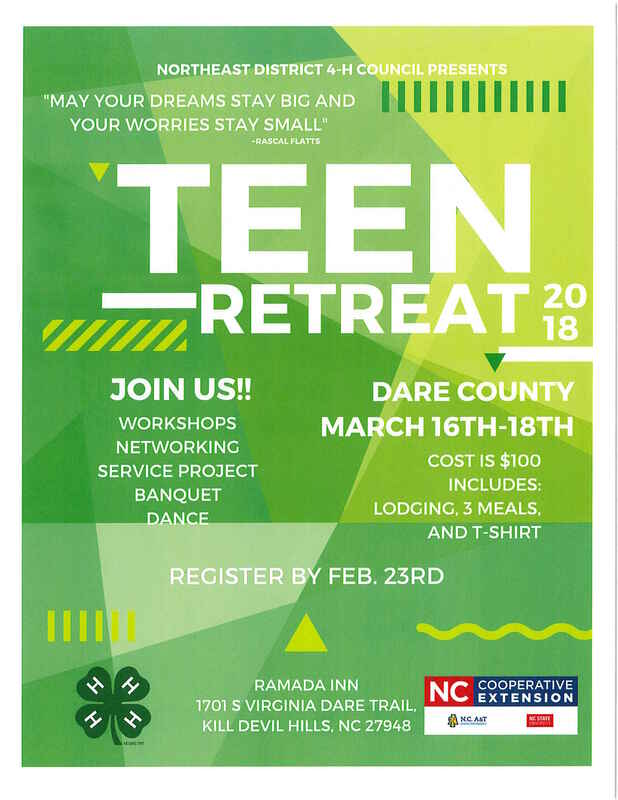 Join us at the Ramada Inn in Kill Devil Hills for the 2018 Northeast District Teen Retreat. For more information click the picture below. To register call the Camden Extension Office at (252) 331-7630.